August’s WWE DVDs will kick off with the Extreme Rules 2018 Pay-Per-View in just over two weeks (pre-order the 2-disc DVD set for $18.96 here on Amazon.com). You can now take a look at the finalized content listing and above, the official trailer. This year WWE went “extreme” in Pittsburgh, Pennsylvania as the event played host to Braun Strowman vs. Kevin Owens in a Steel Cage Match, Dolph Ziggler vs. Seth Rollins in a 30-Minute Iron Man Match, the first-ever match between Roman Reigns and Bobby Lashley, AJ Styles vs. Rusev for the WWE Title and five more Championship bouts! WrestlingDVDNetwork.com is pleased to report that not only are the two Kickoff Show matches included here, a few special features from RAW and SmackDown Live episodes leading into the PPV are too, one of which is the recent Miz TV segment with special guests Team Hell No. – United States: August 14th. 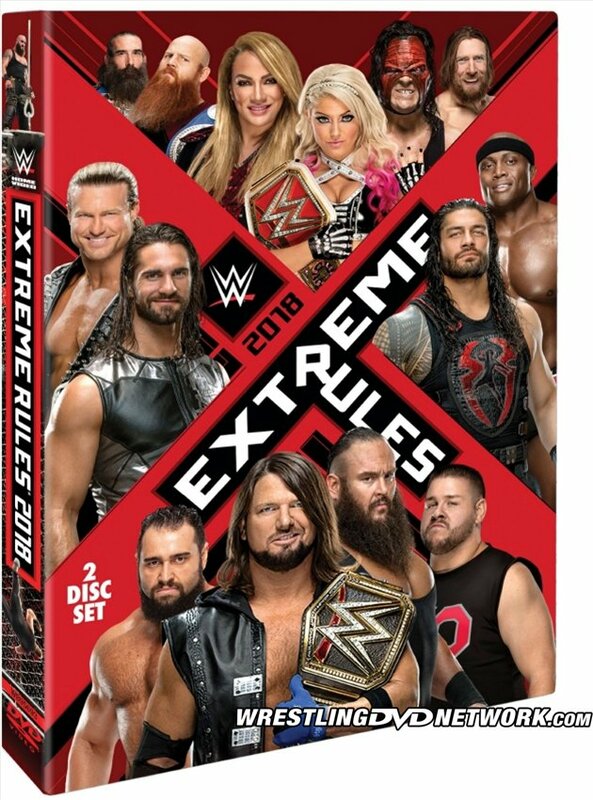 Get your copy of Extreme Rules 2018 here on Amazon.com. The big 3-disc DVD collection that’s on tap to follow Extreme Rules in August will be “30 Years of SummerSlam”. You’ve seen the front cover artwork, now get a look at the back! The WWE Superstars and legends who didn’t make the front cover but did make the back include Mick Foley (as Mankind), Daniel Bryan, Braun Strowman and Randy Orton. Nearly 20 matches will be featured on this compilation which will take you, the viewer, on a journey through three decades of SummerSlam moments from its inception in 1988 right through to last year’s Pay-Per-View. The newly-filmed segments will be “Reports” and “Recaps” of important milestones hosted by three WWE personalities that each experienced different eras of SummerSlam. Speaking of PPVs, Money in the Bank 2018 officially released on DVD this week (photos). WWE’s 2-disc PPV DVDs started up again here with RAW and SmackDown extras now included – that appears to be a continuing trend as we saw earlier. The MITB DVD will follow to Canada, the UK and Australia next month. For those in the UK waiting to pre-order the new “Shawn Michaels: The Showstopper Unreleased” DVD you can get your pre-order in over the weekend at WWEDVD.co.uk. 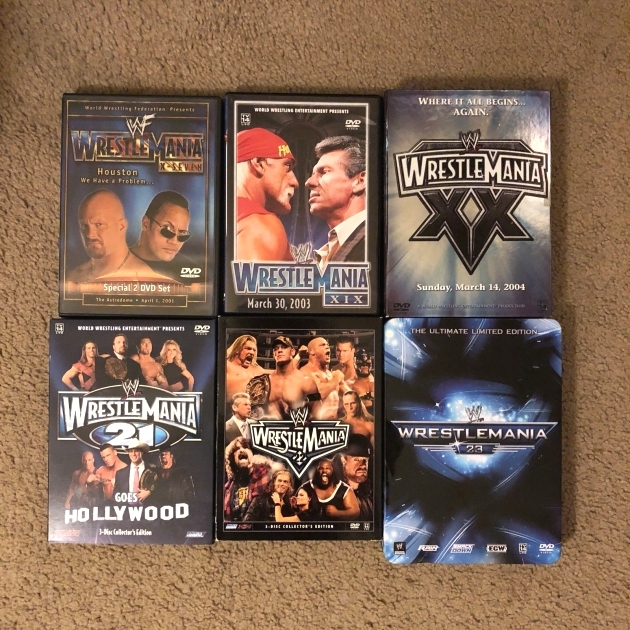 How about adding all of these WrestleMania DVDs to your collection – including the “granddaddy” of them all WrestleMania X-Seven – for only $50?! 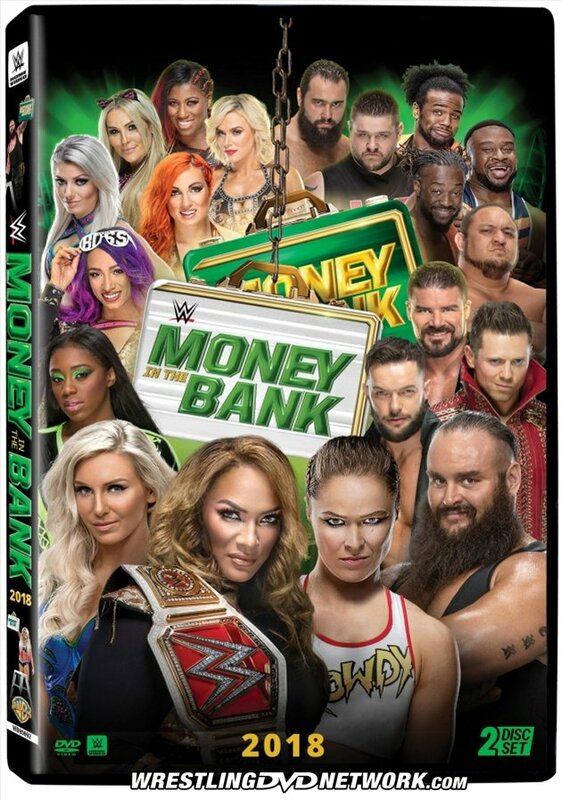 I wish the creative department would come up with better covers than just stick a whole bunch of guys and girls on the cover like they do with ppv dvds nowadays. I mean, it doesn’t even feel “creative”. I prefer it as it highlights what matches are actually on the thing. Something just occurred to me: why do we have a 2011-to-present photo of The Rock on the cover? He never appeared at Summerslam during his most recent run. 2002 was his last, when he had hair and no big Samoan tattoo on his chest. WWE likes to stick that same picture on any DVD that they want. That’s WWE for you. Yeah, amazing! 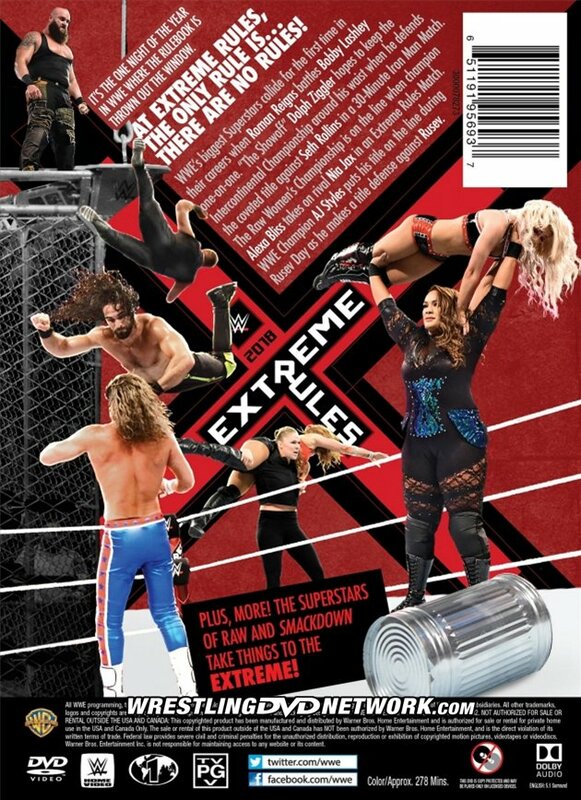 Even with 3 Matches including Bret, there’s no sign of him on any part of the cover! Luckily we have 1 match including Hogan, though a very late match, (but against Shawn Michaels)! Though still no Hulk Hogan on the cover after covering so many Summerslam events! I don’t like Bret’s not being on the cover. Hogan I understand for obvious reasons. Considering those reasons I’m honestly surprised he’s on the set at all no matter how big he is. Considering those reasons, despite being who he is in the business and despite knowing how WWE does whatever they have to in order to stay in business I’m still disappointed and disagree w/him being back not just in the company but also in the HOF. To have 2 racists in the HOF if not more is enough to make it a Hall of Racists Fame. It also makes the company hypocritical to claim they don’t condone racism or whatever and allow Hogan and Trump in the HOF. And if anyone brings it up the Network is a whole different thing. But if anyone responds to this which is fine w/me I’ll detail more about it in response to their response about the Network. Now we know where you stand politically, Anan. Now the HOF automatically becomes racist because you disagree with two people who are included? WWE actually works really hard to be as progressive as possible, including firing Hogan when the news broke, firing Emore, firing Swann, having an all women’s event, and having Finn come out in rainbow tights with his acceptance gimmick. Something Hogan said in private and in anger should overshadow his entire wrestling career? And sorry you think Trump is racist. Every other country has borders and upholds their immigration laws. Why is the USA not allowed to do the same? As for me, I’m happy Bryan got a shout-out on the back cover, but I still think this is obviously a filler set that they have just thrown together without much effort to fill a slot on the release schedule without shelling out too much money in production. Fine for a casual fan that doesn’t own all the PPVs, I suppose. I think I agree here with you all in different ways- Anan, SRB & RabidHeat. Anan- Bret may not care about not being on the cover, but me & hundreds of fans out there do! I still believe his match against The British Bulldog to be the Best at any Summerslam till today! SRB- I also agree with what you said about Hogan in the HOF. These words come out in anger all the time! Also, if he was a racist, I don’t think he would’ve worked so well with guys like Mr. T! RabidHeat- I also agree that the WWE haven’t spent a lot of time & effort in to the production of this set by missing out on other huge matches that should have been on it like; Bret Vs Mr Perfect for the IC Title- this being one of the best matches ever! Bret….no disagreement from me. As I said previously I love Bret and while I believe he should definitely be on either or both the front and back of the cover, the company opted not to include him. Bret knows how much his fans love him. He honestly does not need to be on an incomplete effort compilation set and/or anywhere on the set’s cover for fan’s sake even though like life him being left off the cover is unfair. I love Bret’s matches at Summerslam w/Mr Perfect, Bulldog, Owen Hart, and Taker. I respect your opinion/feelings regarding his match w/Bulldog. As far as Bret’s Summerslam matches go, I tie all 4 aforementioned matches as his best Summerslam match not bc it’s the “easy thing to do” but honestly bc it’s difficult and nearly impossible to pick one or even two out of the 4. The Owen match is the only one of the 4 that wasn’t a regular match. It was a Cage match. But one of the best Cage matches still to this very day. Loved the long build, something extremely rare today if ever done at all in WWE. The match had unmatched dramatic storytelling in the build, match and everything post match. Loved Bret’s pre match interview with Okerkund at the ppv too. The Perfect and Bulldog matches were some of the best pure wrestling w/o any stips or gimmicks. The IC Title match rightfully closed Summerslam 92. But the same should’ve happened in 91. I loved the match with Taker. Taker’s entrance, pain threshold display and overcoming all the odds he had during the match , Bret/referee HBK tension, and everything. Hated that Taker lost but kinda predictable considering the stips. But it didn’t take away from imo their best 1 in 1 ppv match partly bc it’s the only match that had an actual finish. The One Night Only match ended in a DQ if I remember right and their RR96 match had interference from Diesel who interrupted Taker’s entrance before he interrupted at the end when Taker clearly would’ve won. Rabidheat, you’re right about staying on topic, but SRB isn’t the one you should be saying it to. Anan is the one that went on a tangent about racism. I’m sure if Anan could, he’d re-edit his post and claim he never said any of that. You get something straight. Realize that my previous comment while eventually did venture into racism prior to that it was about the topic which was the Summerslam dvd cover. I spoke and said how I felt about Bret being exempt from the cover. So I stayed on topic before going off topic. Meanwhile in SRB’s response to me the comment was entirely made up about what I said about racism. Nothing in his comment was about the dvd while part of my comment was. I think that’s why Rabidheat rightfully in my view said what he said to him instead of telling it to me. Rabidheat if I’m wrong about that as I’m no mind reader or perfectionist feel free to correct me. Well Anan mentioned a little about Hogans racism however sometimes we need to speak about other things- (why Hogan wasn’t on the cover)- but perhaps it was just a little too long leading SRB to talk about nothing but Hogan in his reply instead of the Summerslam cover. Though Anan had come back onto the main topic after. I took Rabid’s response about staying on topic as a joke anyway, not him trying to enforce rules that I do not see written anywhere other than what Daniel mentioned the other day. People have to expect that if one person goes off topic others will follow. One of the reasons I enjoy this website is because it is a break from the hysterical discussions about politics and racism. When Anan mentioned what he did, I thought to myself, “Oh no, not here too.” Hence, my response. My recent ‘announcement’ wasn’t really that every single comment needs to mention a DVD, that’s silly. So you get it. It’s that conversation should really start from that and then naturally flow in any direction – but not break down into random arguments, name calling, trolling, etc. Pretty clear, I thought. Rabidheat, It looks like you get down-votes no matter what you say at this point. You can say “I wish for peace on Earth and no more hate in the world” and get 3 down-votes inmediately. ‘Extreme Rules’ was great. I will pre-order this on ‘BEST-BUY.com’. Next month’s ‘Summerslam’ will be awesome. THAT will be out on d.v.d september 18th. I just bought the new first ever ‘Money in the bank’ 2 disc d.v.d. That was a superb event.